Police say everyone involved in unharmed and doing well. GAITHERSBURG, MD -- An Amber Alert was canceled on Tuesday night after police say a man who stabbed his girlfriend and abducted their children turned himself in. 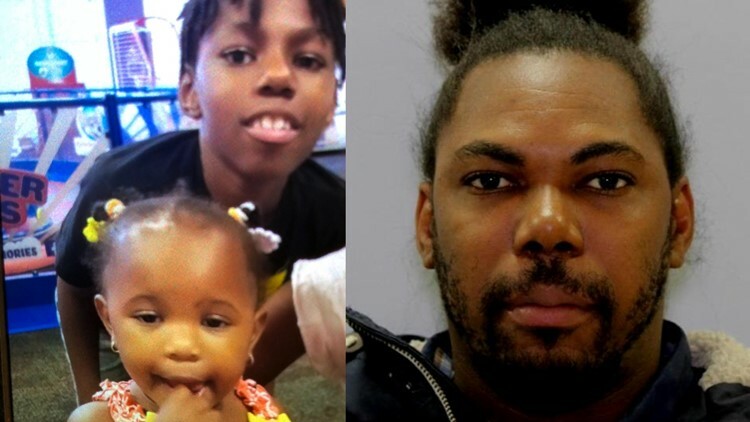 Dwight Perry was been located in Prince George’s County after the Alert had been issued for his biological daughters who were believed to be with him: Kingston Perry, 9, and Karina Perry, 18 months. This all started around 1 p.m. in the 700 block of West Side Drive in Gaithersburg. According to police, officers responded to the area for the report of a domestic-related stabbing. The victim, Karina's biological mother, was transported to the hospital with non-life-threatening injuries. Perry, who police said is the victim’s boyfriend, fled from the area with the two children. It ended a few hours later when Perry turned himself in at a firehouse on Campus Way South when he says he heard the alert. According to the man, he had already dropped the kids off earlier – the 18-month-year old was located at a daycare 2700 block of Philben Drive and the 9-year-old was with a family member. Perry faces assault-related charges following a domestic-related stabbing. He is being held without bond.